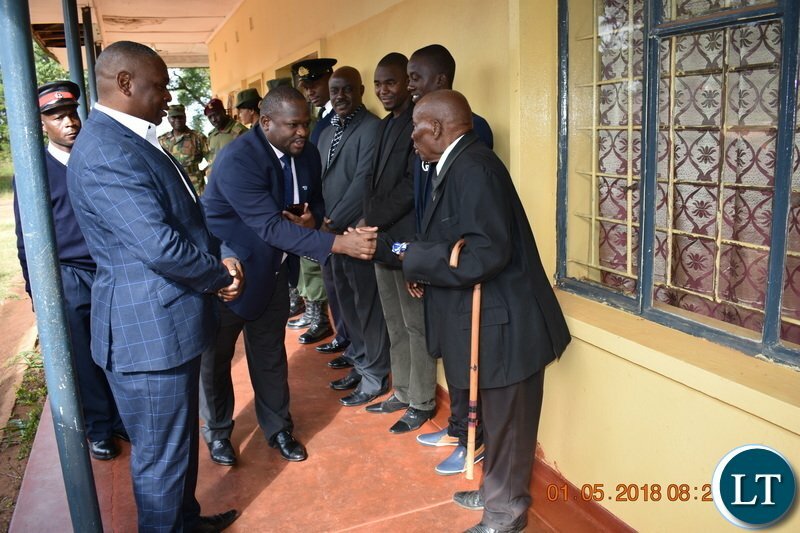 Minister of National Development Planning Honourable Alexander Chiteme has assured that there is no victimization of Government workers and that the current debt acquired is benefiting the people through infrastructure development and provision of social amenities. And the Minister said all stakeholders to the political dialogue should confirm their recognition of His Excellency Edgar Chagwa Lungu as the President of Zambia, in order to have a healthy dialogue. 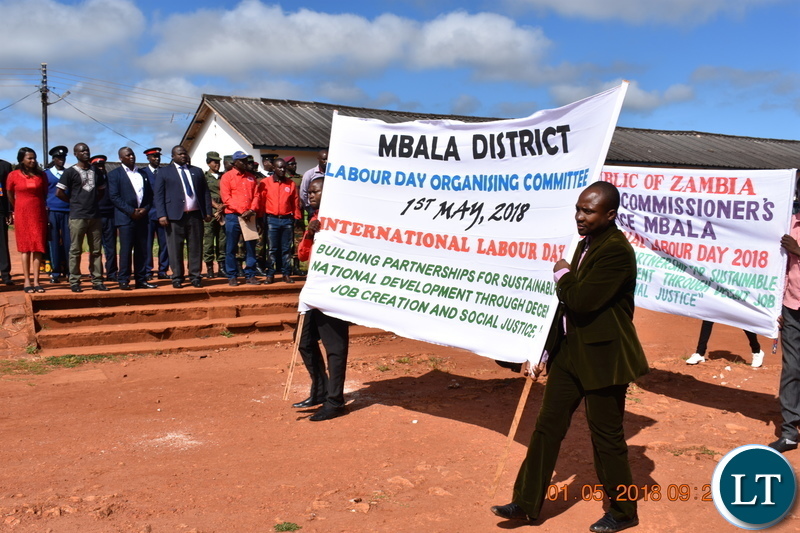 Mr. Chiteme was speaking when he officiated at the 2018 Labour Day Celebrations in Mbala on Tuesday and responded to several concerns raised by Basic Education Teachers Union of Zambia (BETUZ) Deputy Secretary General Henry Sinkala, who spoke on behalf of the labour movement. The Minister told government workers to be non-partisan. He said transfers in Government were not new, and that they were provided for in the laws. He said anyone, including Ministers, could be transferred from one government position or station to another. On Zambia’s debt levels and management, the Minister reassured that the country’s debt was being serviced and sustainable. He said the Government had borrowed to foster development and improve the wellbeing of the citizens. 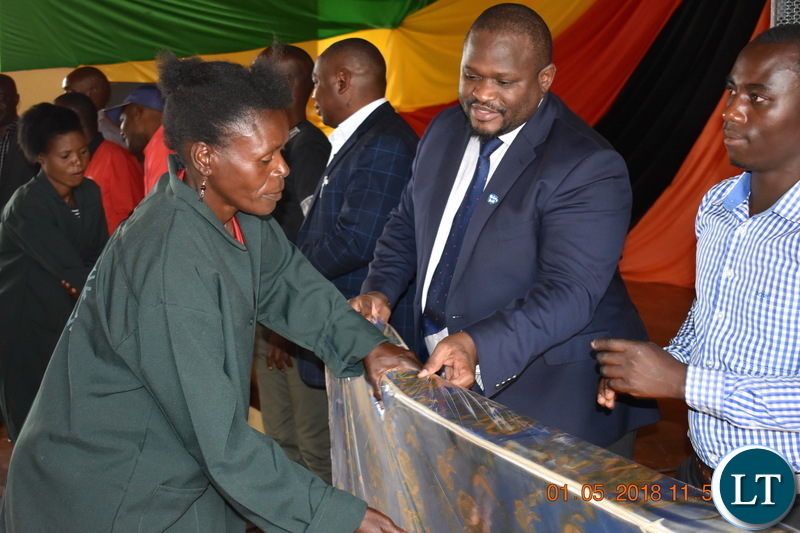 The Minister assured that Government was committed to providing an enabling environment for the private sector to thrive and create jobs. He said the Government was empowering youths with knowledge and skills to be self-employed and employers. On the trade union’s rejection of the National Health Insurance Bill Act No. 2 of 2018 which President Lungu signed into law on 25 April 2018, Mr. Chiteme said the Government is committed to provide universal health coverage to all. He dismissed the union’s assertion that only the formal sector would be making monetary contribution to the scheme. Mr. Chiteme said only greedy people were opposed to the National Health Insurance bill because they wanted their insurance entities to thrive while poor people have no access to good health services. 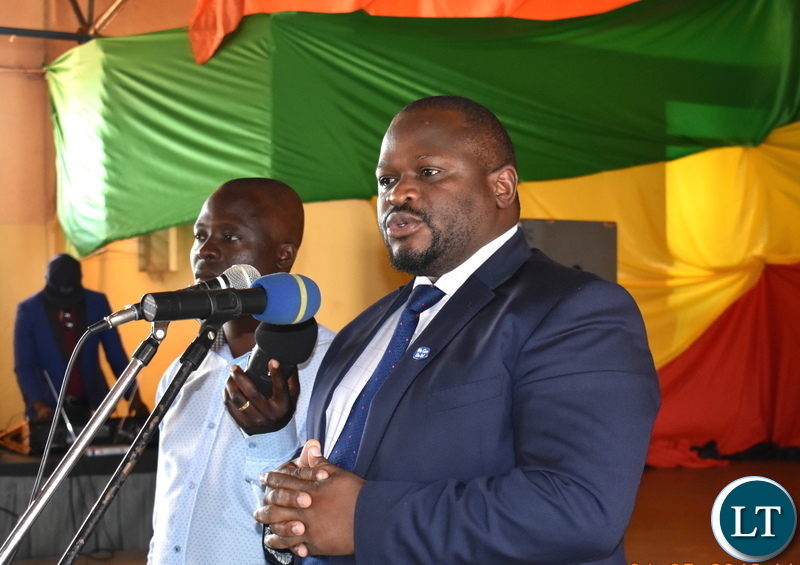 On the union’s concern about lack of political dialogue among political parties, the Minister assured that President Lungu and his team were open to dialogue. “My President His Excellency Mr. Edgar Chagwa Lungu has extended an olive branch to everyone that was so cynical enough to come to the dialogue table and discuss issues of national importance. But people have refused to recognise him as President of the Republic; people have gone into Parliament to try and impeach my President, they have gone to the international community to disgrace and discredit the Government of the Republic of Zambia which is led by the Patriotic Front,” Mr. Chiteme said. “Commander in Chief of armed forces”….is that a threat !!!!!!!!!! Roads——- you been busy building the same roads for the past 8 years and still they are not completed, you have clinics but no staff, you’ve changed Basic shcools to primary schools yet rural schools still do not have electricity and educational books from which to study…..TALK IS CHEAP ! …and if a particular ethnic group shows unethical behavior towards those in authority??? I know a story of a certain ZP traffic dept. controller who use to strongly insult the president in open at the work place at Mateo Police until her colleagues exposed her by opening the communication lines and she was reprimanded and transfered. Is it surprising that she is tonga??? Chiteme is a politcian so he will sing the tune of his boss. 1. Ofcourse there is victimisation, so many retirements in National interests have taken place, if you are Tonga you are also likely to face victimisation. 2. He is right to say all countries have borrowed money the difference is that other countries use their money wisely. Zambia uses it in part to pay for overpriced tenders that end up in the same politcians pockets. This Minister is new so he hasnt started benefiting from kick backs. He will get fatter when the money starts coming in. We are wanting for 2021 when our so called leaders will declare their assets that’s when the docile Zambian cadres will see that what they are feeding on is cramps from the table not even fit for a dignified moral person. Citizens have been reduced to cadres at the same level as pets or domesticated animals with no mind of their own but loyalty to the one handing out food.